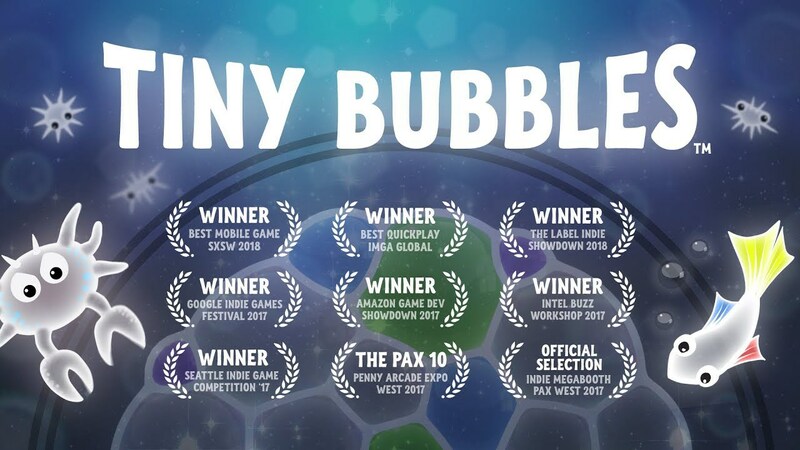 Tiny Bubbles For Android . The amazing puzzle game Tiny Bubbles coming to android on 21 November , it's already launched in iOS .you basically have to fill bubbles with coloured air and push them towards others to combine the colours . Tiny Bubbles Launch for Android on 21 November. Match four bubbles and you will burst them . If you think it sounds a lot like Tetris , that's a because it is like Tetris . There are over 170 puzzles to beat across three different game modes , puzzles , arcade and infinity .You will also find 35 different achievements as well . you can download it right now from google play store ,it's a unreleased version full launch on 21 November .